Some of the main characters at the dress rehearsal for A Very Spongy Pantomime. From left: Rudolf Trollip (Petrus), Enrique Calitz (King Neptune), Cara (Amarosa) and Shani Elhers (Princess Mandy). ENTERTAINMENT NEWS - It's pantomania all round at the theatre! 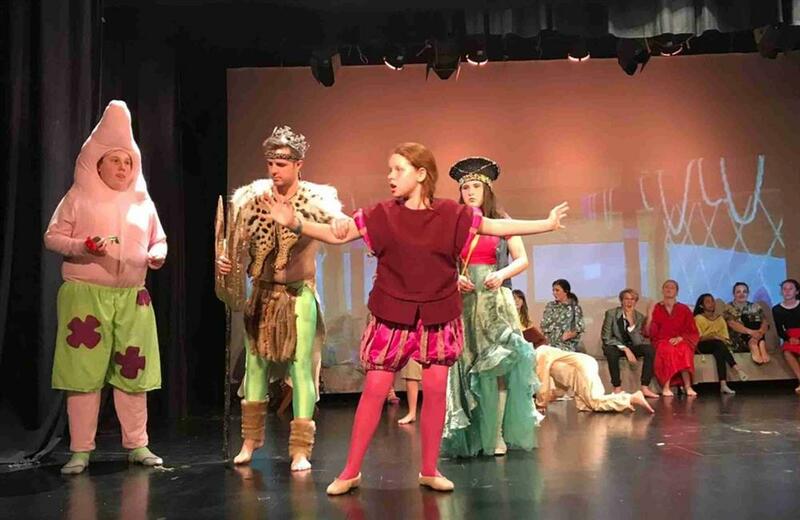 Okay, "pantomania" may not be a real word, but the George Arts Theatre's December pantomime, A Very Spongy Pantomime, has the entire theatre in a buzz! Tickets can now be bought at Computicket or the theatre's box office. Specials for only R60 pp on certain days and for groups of over 10. Prices are R110 / R100 for non-members, R90 / 80 for members and R60 for kids. For more information call 044 874 3142 or visit www.georgeartstheatre.co.za. The pantomime runs on 6, 7 and 9 December and again from 12 to 19 December.